In conjunction with Natural Organic Plus SA, the Organic Marketing Company is pleased to announce that it will open the first ever certified organic and biodynamic distribution centre on the Mid North Coast. The distribution centre will be located in South Kempsey and is due to open 2017. The facility will focus on the purchase, preparation, packing, distribution and sale of organic and biodynamic produce. Through its endeavours,tThe Organic Marketing Company seeks to promote the Mid North Coast as the hotspot for organic and biodynamic produce in NSW and is expecting the distribution centre will encourage local producers to convert to more sustainable production methods. 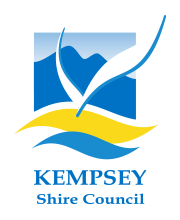 Kempsey Council’s “Macleay Valley Food Bowl” initiative is also promoting the region as a major food growing area for coastal NSW. “We need more certified organic growers” says Director, Sally Ayre-Smith. “There is growing public understanding that organic and biodynamic food is healthier, tastier and better for the environment than conventional produce. This has lead to a 15% annual growth rate in organic agri-business in Australia, which is 4 times the growth rate of conventional produce. We want to help local growers capture some of the market share”. To help realize this vision, the Organic Marketing Company is mentoring and supporting growers through the conversion organic/biodynamic process. Four new farms in the Kempsey region are already on the way to converting, and there are more who have expressed interest. The Organic Marketing Company Pty Ltd is a farmer owned company focused on providing high quality certified organic and bio-dynamic produce throughout Australia and has traded in organic produce since July 2007. It partnered with Natural Organic Plus SA early 2016 to enable development of the Distribution Centre.